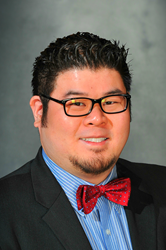 Leading Digital Marketing Agency Strengthens Resources with the hiring and appointment of Eric T. Tung. I'm excited to start helping our clients as part of the Goto Marketers team. GoTo Marketers Inc. today announced today that Eric T. Tung of Houston Texas, has joined the firm to support their growing portfolio of national and international customers. Having spent over a decade in social media marketing, communications, recruiting, and customer service, Eric Tung brings a wealth of experience in digital communications, Prior to joining GoTo Marketers, Eric was instrumental in developing digital communications strategy at BMC Software during which time Eric was recognized as the #33 Top Social Media Talent by Forbes. Eric holds a Bachelor of Business Administration from The University of Texas at Austin. GoTo Marketers Inc., is a full-service digital marketing agency. Since 2012, GoTo Marketers has helped leading technology and services companies successfully execute on marketing plans by making the resources and relevant domain expertise available to them in a unique service based model.